I can't be bothered to read the instruction book for my phone, and for the first year I own it, I cannot figure out how to program its clock. The minutes are correct, but it's 10 hours ahead. Since it's a European-style 24-hour clock, in the mornings, my clock reads 19:45, when it's 9:45. But in the afternoons, it reads 3:45 when it's 5:45 (which is 17:45). So I have devised an elaborate system whereby I subtract 10 hours from numbers 10 up to 23, but add 2 hours from numbers 0 to below 10. Then in the afternoon, I must add 12 hours to figure out the equivalent time on the 24 hour clock. And finally, I need to subtract 6 hours for contacting my family on the East Coast, and 9 hours for contacting people on the West Coast. Got that? Subtract 10, add 12, then subtract 9, or else add 2, add 12, subtract 9, so that I can know if it's a good time to contact you in San Francisco. Or something like that. Don't be surprised if I call you at 3:30am. Anthony has begged me to get a smartphone, but I like my theft-proof, cheap-plan stupidphone. I just have to be smart instead. Even with the wildly inaccurate clock, I never missed girls' school drop off or pick up. And only once did we mistakenly show up for an activity a full hour early. I would like to publicly thank all my math teachers. And now that Gigi has finally reprogrammed my clock, I would also like to publicly thank her, because that sh*t was getting old. I would also like to thank my lucky stars that I don't have to deal with French Revolutionary Time, which is an actual thing that happened here during the revolution, starting with a decree on October 5, 1793. It declared that the day would be divided into 10 parts, each of those into 10 more, etc. until the smallest units needed. It's metrics, but for the clock. Apparently, this has some major benefits, in that 4:21 is actually 421 "minutes" into the day, and it makes adding and subtracting time much more straightforward. 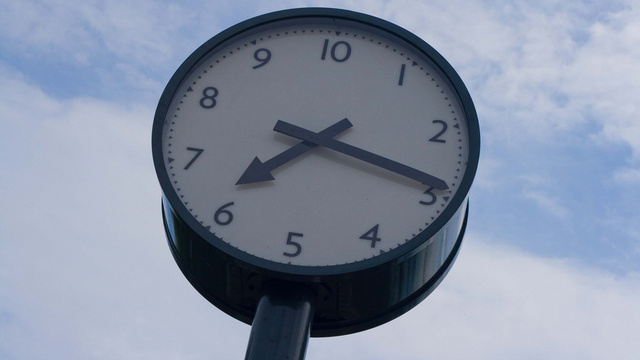 5:00 would be noon, and 10:00 would be midnight. There are some excellent explanations of this here and there, if you're interested, but they're not going to come from me. Needless to say, 10-base time was also proposed for the number of days in a week and months in a year. Only the clock passed, however, and it was in mandatory use from September 22 1794 until April 7, 1795, a half year period during which we can presume absolutely everybody was constantly confused and drastically late or early for all of their rendez-vous. Rond de Lusignan is a raw goat's milk cheese made by Monsieur Paul Georgelet on his farm in Lusignan, in Deux-Sèvres. 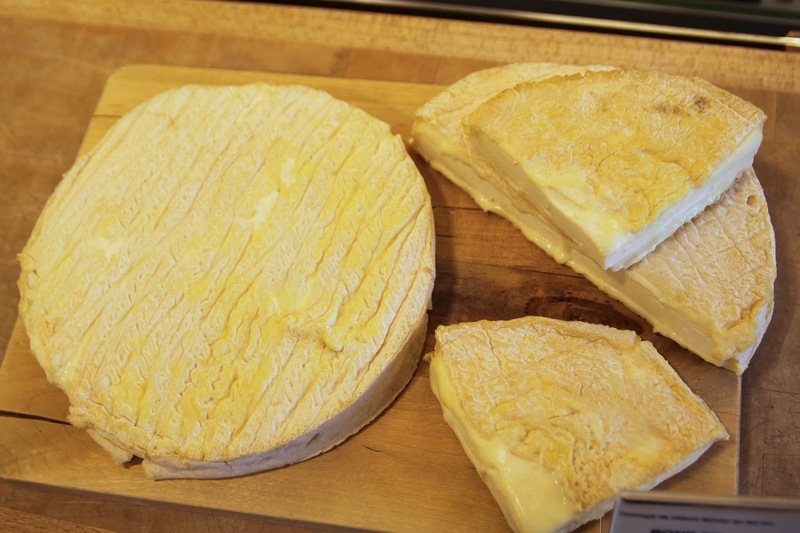 Thanks to the specialty of the farm, the more famous cheese Mothias à la Feuille, M. Georgelet is nicknamed "le Grand Mothais" and so perhaps its no wonder that the Rond de Lusignan is sometimes described as a Mothais à la Feuille without the feuille, the leaf, that is. The taste can be mellower than a classic Mathasi, when the cheese is aged as little as 3 weeks. Or it can be very pungent and highly acidic, with an affinage of 8 weeks. The one I buy is on the more aged side, but I suspect I would prefer it younger. When aged, the Rond de Lusignan is not for the faint of heart. It's strongly goaty and even more strongly acidic. The texture is lovely -- creamy, wet, and oozing all over the plate. Though the texture is something my girls love, the taste is a bit too much for them. I suspect they would prefer the younger, less pungent version also. 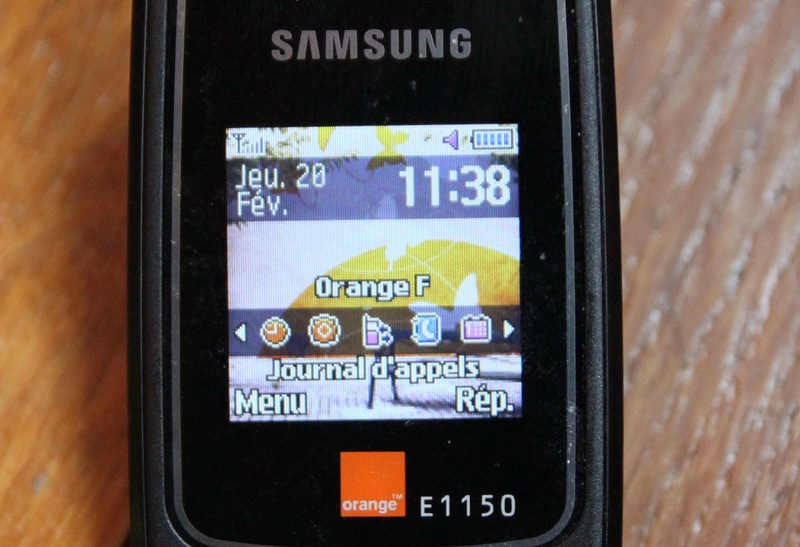 Rond de Lusignan is from Deux-Sevres, two being both 2:00, 14h, and before Gigi reprogrammed my phone clock, 12h and 24h. If we were counting in base-10 French Revolution Time, 2:00 would be exactly 1/5 of the way into the day, so 4:48am. However, the real reason this cheese speaks to me for this posting is when I look at the tray in the store, I see a clock, a half hour, and a quarter hour -- so 12 hours, 30 and 15 minutes, or 10 hours with 50 and 25 minutes. I buy a quarter of an hour's worth.